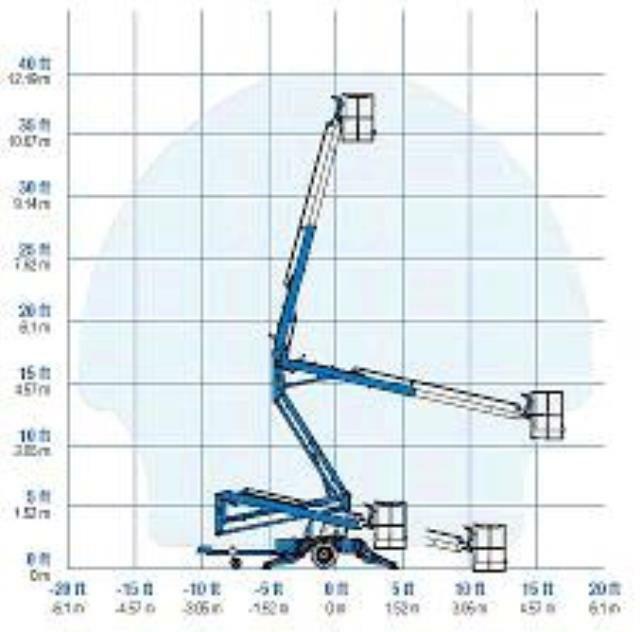 When comparing prices on towable boom lift rentals in Los Gatos, Campbell and Santa Cruz, ask about sales tax and environmental fees. The Genie TZ-34/20 has an outstanding working envelope and intuitive controls that allow operators to efficiently reach where they need to be. 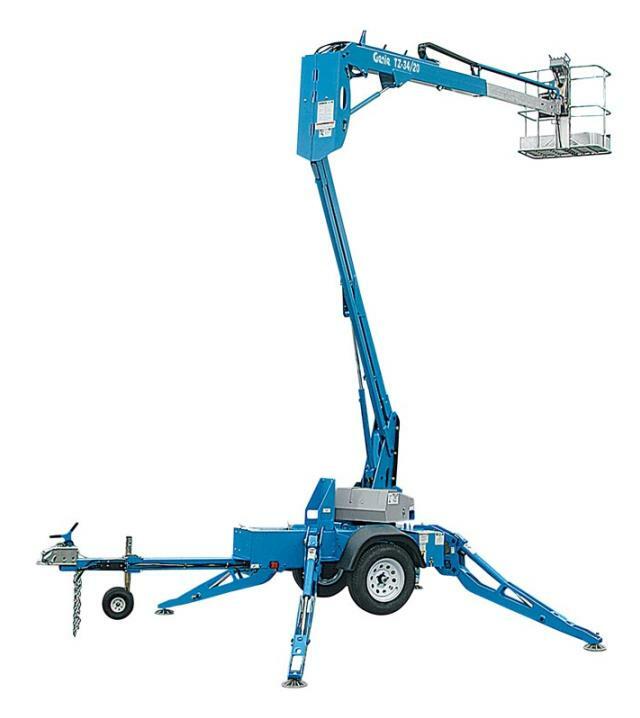 With a working height of up to 40 ft. an outreach of 18 ft 4 in and 16 ft 1 in of "up and over" capability, the TZ-34/20 provides excellent versatility for a variety of jobs. Max. Cage Load 500 lbs. Outrigger Footprint 10' 9" x 11' 10"
To safely tow this boom lift, A Tool shed requires a vehicle with a rated towing capacity of 5,000 pounds or more. Your hitch must be in good condition and have a rated capacity of 5,000 lbs or more. 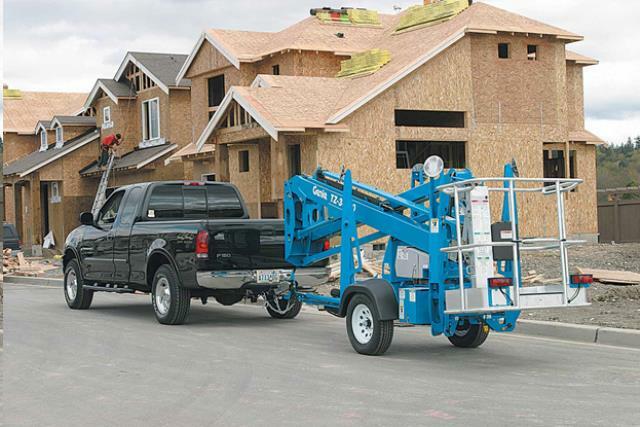 A new Safety Harness is issued with every towable boom lift rental as a sale item only. If you already have your own, you may return any unopened packages for a full refund at the completion of the rental. * Please call us for any questions on our 34 foot towable personnel boom lift rentals in San Jose, Campbell, Salinas, Santa Cruz, Watsonville, Morgan Hill, Hollister, Santa Clara, Gilroy, Milpitas Sunnyvale, Fremont, Salinas, the Greater Bay Area and the Monterey Peninsula.